- GREAT GIFT: An original & useful housewarming, hostess, Fathers Day and shower gift, not to forget great stocking stuffers at Christmas. 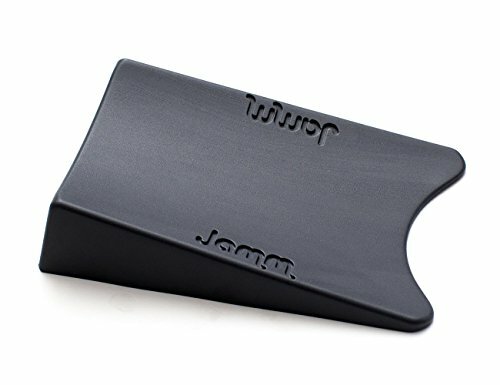 AWARD-WINNING DOORSTOP DESIGN : Jamm's unique design holds a door in BOTH directions when inserted securely under the end/skinny side of the door. Measures 5.1" L x 3.25" W and fits door gaps up to 1". MEASURE YOUR DOOR GAP BEFORE YOU PURCHASE. Works on all doors except doors with self-closing or lift off hinges. If you have any questions about this product by Jamm, contact us by completing and submitting the form below. If you are looking for a specif part number, please include it with your message.